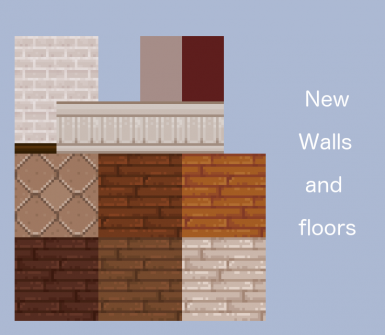 This mod features replacements for walls and floors, furniture, kitchen, bed and even an optional matching dresser for the get dressed mod. I have added a select few items that came from other mods. Refer to the credits for acknowledgement of their artwork (their furniture is not shown in the previews). I very much recommend their mods. Step 1: find the Content folder. 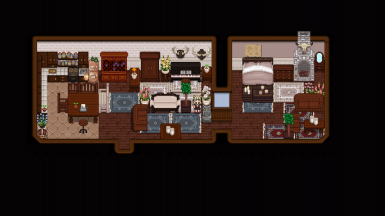 It's inside 'Stardew Valley'. Step 2: Download the mod from this nexus page. Step 3: Extract the .zip file with an unpacker of your choice, i.e. WinRar. Step 4: Each xnb file was put in the folder it should be installed in. Inside the Content folder on your computer, you can find these folders. You can ignore or delete the .DS_store files and/or MACOSX folder, if you see those. Those were added by mistake and you don't need them. 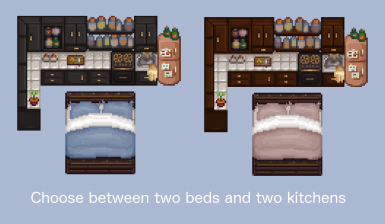 Step 5: Copy the xnb files (not the png files, I have added png files for easier mixing and matching with other furniture mods. ), go to the Content folder, and paste the copied xnb files into the assigned folders, as stated above. Let it replace all the game's files. Step 6: You're done, go play. 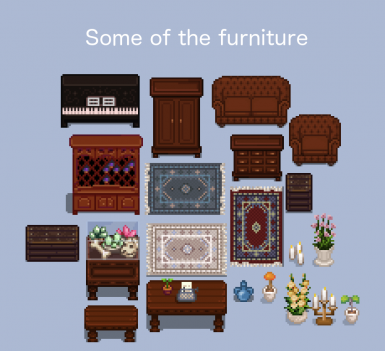 Mind you might have to buy some of the furniture, wallpapers and floors first to be able to use them. 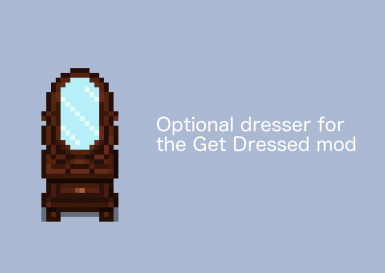 For the Optional file, you need Custom Furniture to use it. Refer to that mod on how to install.